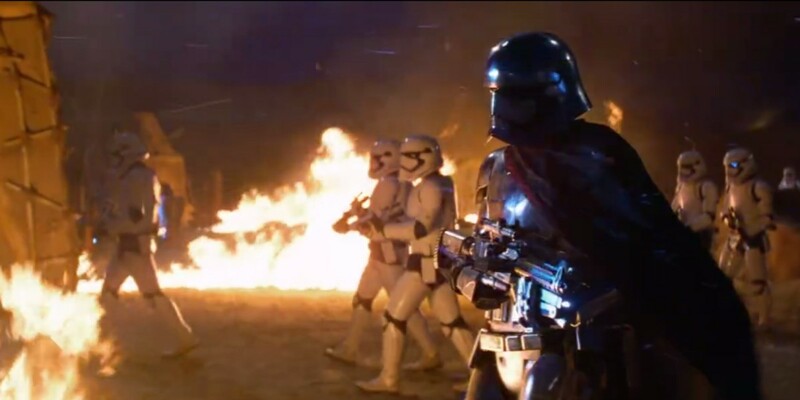 Lucasfilm has released a new preview of Star Wars: The Force Awakens, featuring the First Order, the villainous Kylo Ren and a whole lot of carnage on the ground and in the skies. Ren shows off his custom lightsaber as well as a deadly force that he inflicts upon the kidnapped pilot Poe Dameron. Star Wars: The Force Awakens “All the Way” TV Spot (Official)We will face them. December 18, 2015. You’ll also hear Finn issuing a warning to someone about what only he has seen — but it’s not exactly clear what, or who that might be.